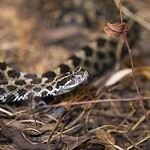 Eastern massasauga rattlesnakes can reach up to 30 inches in length. The snakes have irregular dark saddles alternating against a lighter background. Their tails end in the namesake “rattle,” a collection of modified scales. Eastern massasaugas rarely use their rattle, however, opting instead to stay motionless in response to intruders. 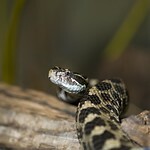 Eastern massasauga rattlesnakes can be found from the Midwest to New York and Ontario. Due to habitat loss, this snake is endangered throughout much of this range, including in Illinois. Lincoln Park Zoo has partnered with the Illinois Department of Natural Resources, U.S. Fish and Wildlife Service and Cook and Lake County Forest Preserve Districts to conserve the species in northeastern Illinois. 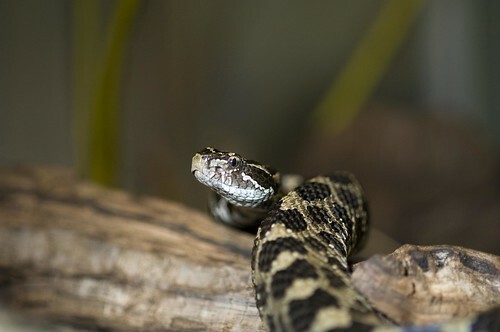 The zoo also hosts the Eastern Massasauga Rattlesnake Species Survival Plan®, a shared management effort that has North American zoos advancing the population’s long-term health by collaborating on breeding and transfer plans. 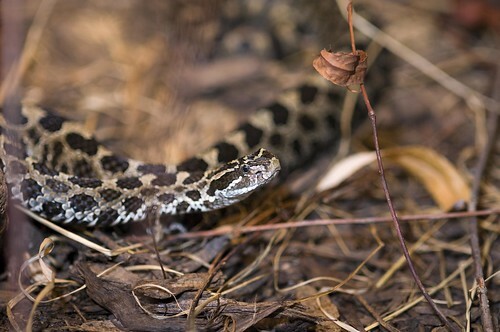 These snakes favor moist landscapes, including forests, fields and marshes. 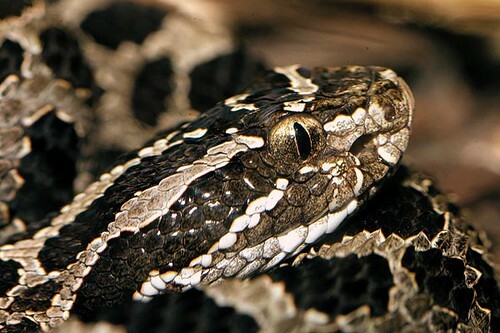 The rattlesnake primarily feeds on small mammals, such as mice, shrews and voles. The species detects prey via vibrations in the ground, their strong sense of smell and heat-sensing pits on the side of the face. Using its fangs, the massasauga injects prey with venom before swallowing its meal whole. 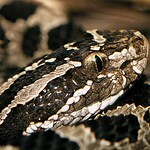 While massasauga venom is toxic, the species is generally not regarded as a threat to humans. The snakes mate in the summer and fall, with females giving birth to live offspring during summer. Young snakes are independent at birth. Eastern massasauga rattlesnakes spend the winter hibernating in underwater burrows. The cold temperature helps the species enter a state of suspended animation until spring. Cryptic coloration helps the species hide within its wetland habitat. The snakes' dark scales provide good camouflage among leaves and branches.